Do you want to work alongside New Zealand Police to help build a safer community? 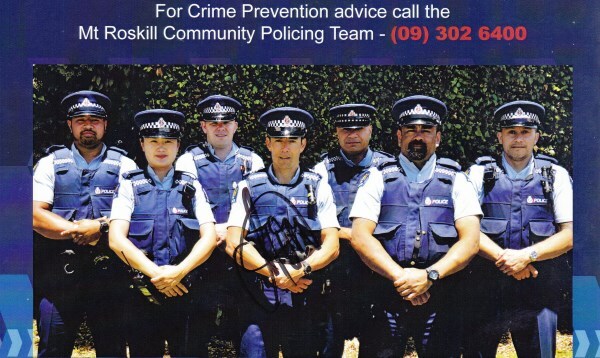 Mount Roskill Community Patrol is an affiliated member of Community Patrols of New Zealand (CPNZ), which has over 160 affiliated Community Patrols around NZ with more than 5000 volunteers nationwide. We work closely with the Police http://www.police.govt.nz/ and patrol Mount Roskill, Lynfield, Three Kings, Hillsborough and Sandringham areas and assist the police in making the community safer by becoming additional eyes and ears to the Community. We are privileged to be based at the Mount Roskill Community Policing Centre, 1213 Dominion Rd Mt Roskill.